Prof. Ravi. 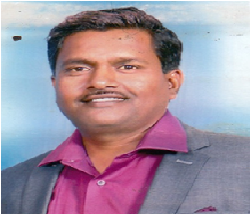 B. Kabbinad has a Bachelor’s degree in Bussiness Administration and Master’s degree also in Bussiness Administration from Karnatak University, Dharwad. He is specialized in Marketing and Human Resources. He has more than a decade of teaching experience and has guided several projects at UG and PG level. He has few paper presentations to his credit.